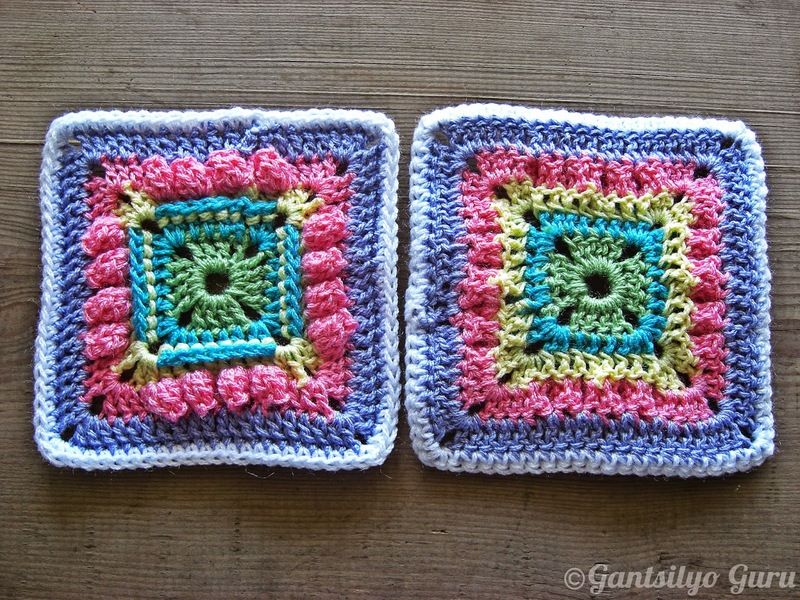 Summer is officially over and what a season it was for crochet! 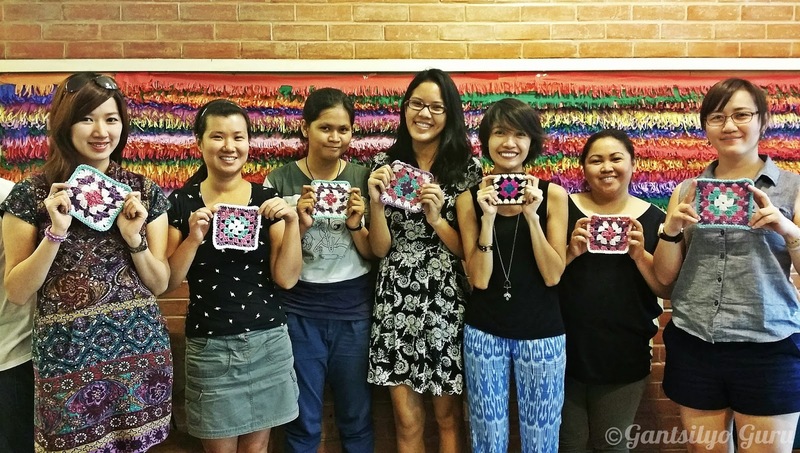 I held 7 crochet workshops in various locations in Metro Manila. 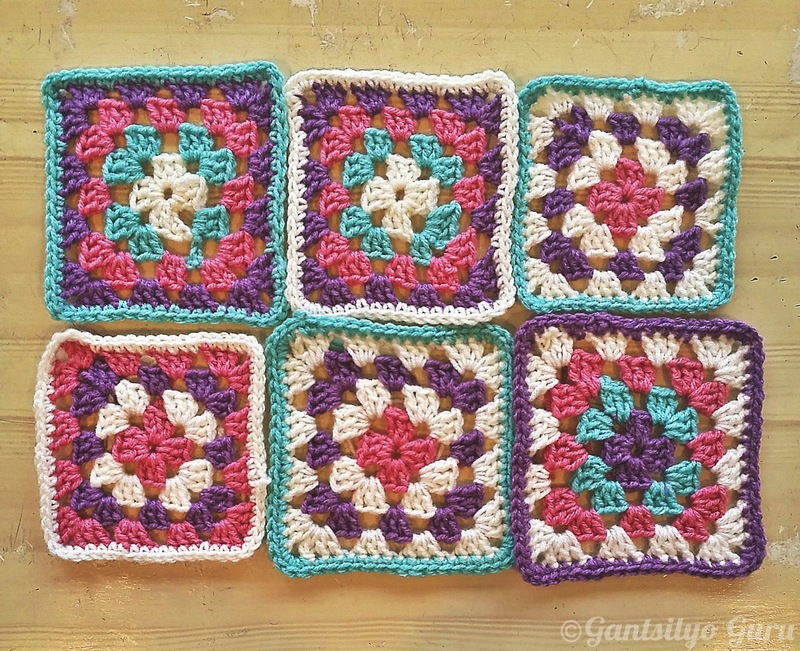 Pretty granny squares from one of my basic crochet workshops! And here are the new "hookers" of Summer 2014! 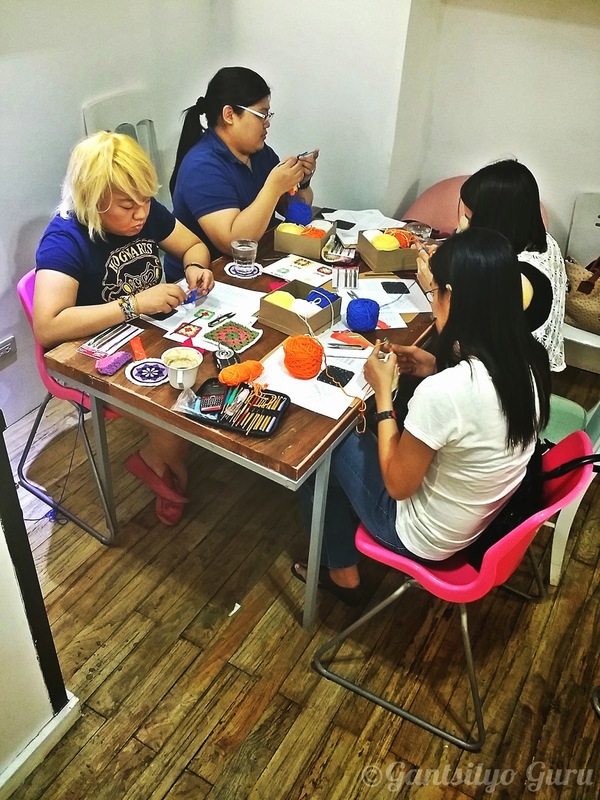 I held a workshop at Designer Blooms Cafe in Alabang last March 22. 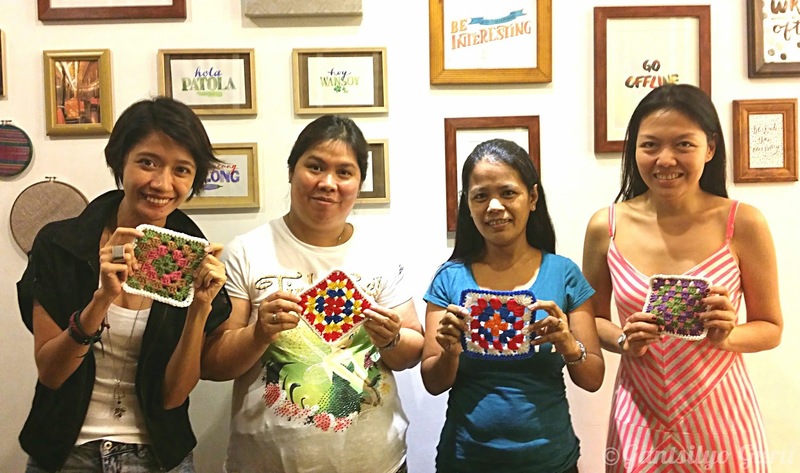 There were 3 basic crochet workshops in Pipino Vegetarian in Quezon City. This one was last March 29. It was also on this day where we had a Craft Pop-Up! 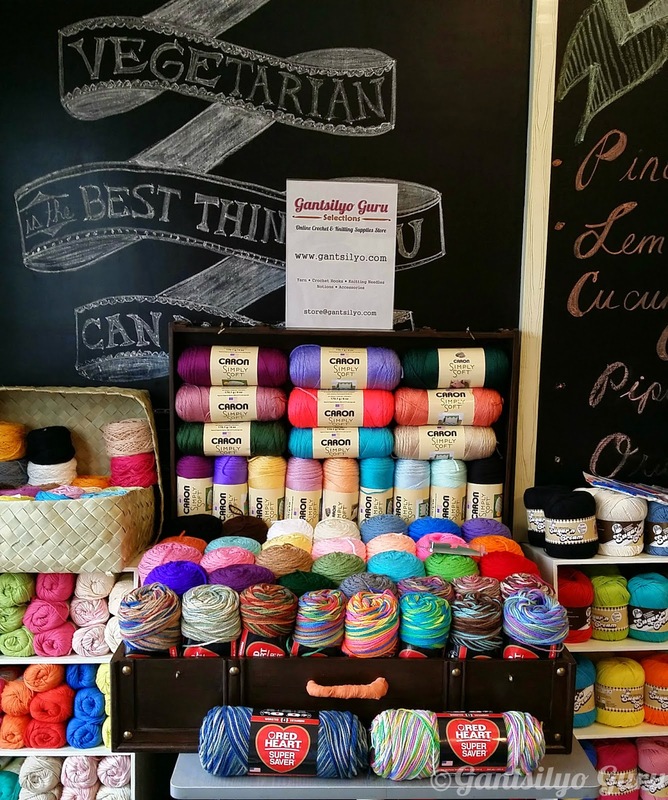 Of course, I had my trunk full of yarn! And just recently, last June 21. 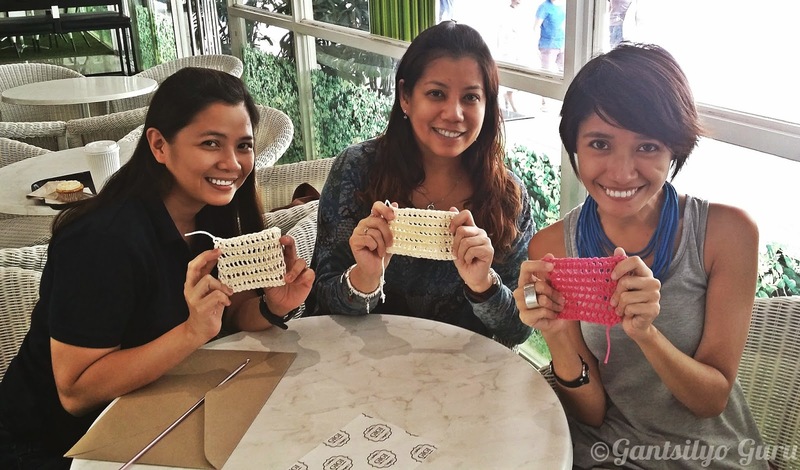 There was also a basic crochet workshop at Pino/Pipino in Makati last April 27. 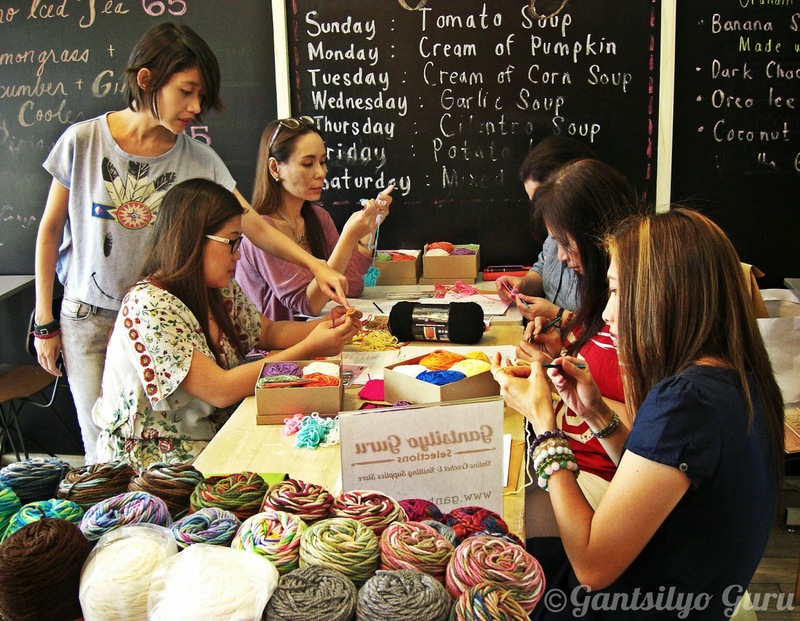 I also taught the basics of Tunisian Crochet in 2 workshops last April 26 and May 24. 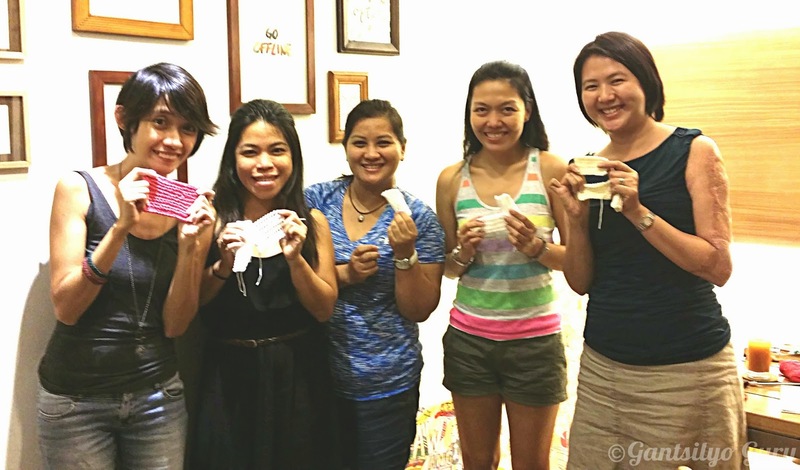 This was a session held in GIGI Coffee & Cupcakes in Eastwood. 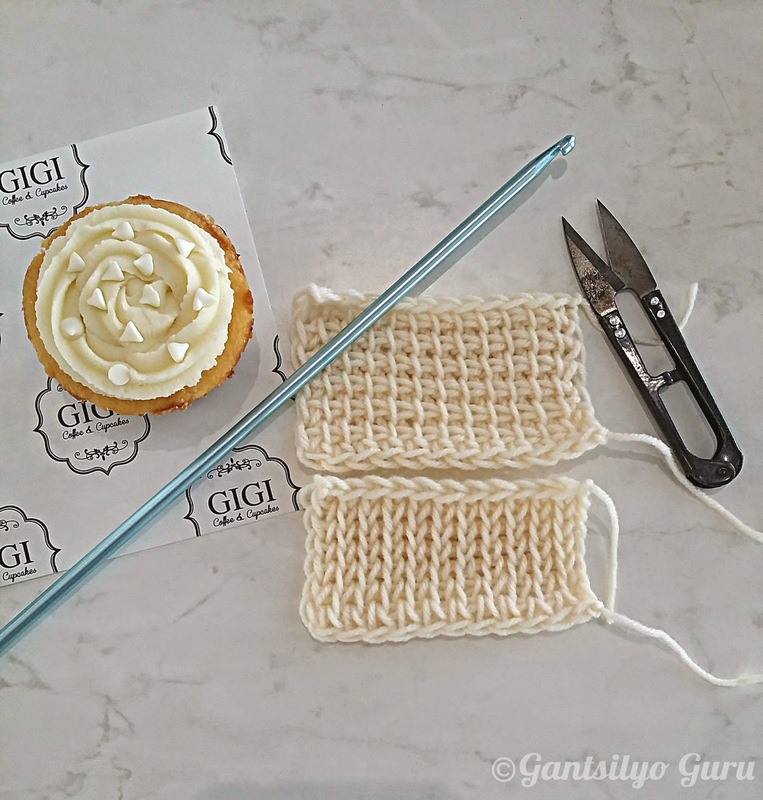 We did a couple of swatches of basic Tunisian Crochet stitches in these workshops. 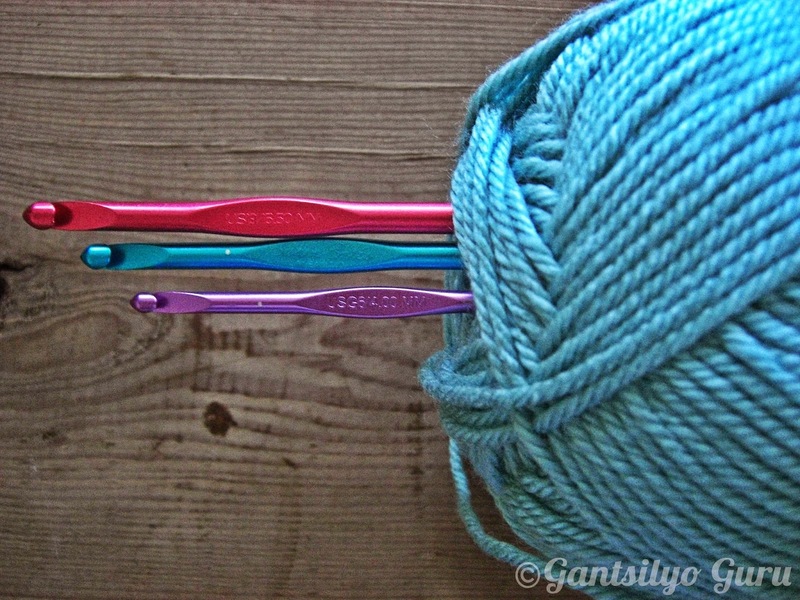 I have these self-imposed rules when I undertake a crochet project. They help me a lot in achieving the results I want. I'm pretty sure other crocheters have their own versions too. When I undertake a project that has a recommended hook size, I test that hook plus 2 more hooks: one with a size lower and the other with a size higher. You see, I'm not a gauge person. I don't make the gauge to make sure I have the correct hook size or yarn thickness for the project. I rely purely on what I think looks okay. Very subjective, I know. I test the first row or round with the recommended hook. If it looks (or feels) tight, I use a higher-sized hook than the original. If it looks (or feels) loose, I use the lower-sized option. I am very sensitive to color combinations. They can make or break a project. 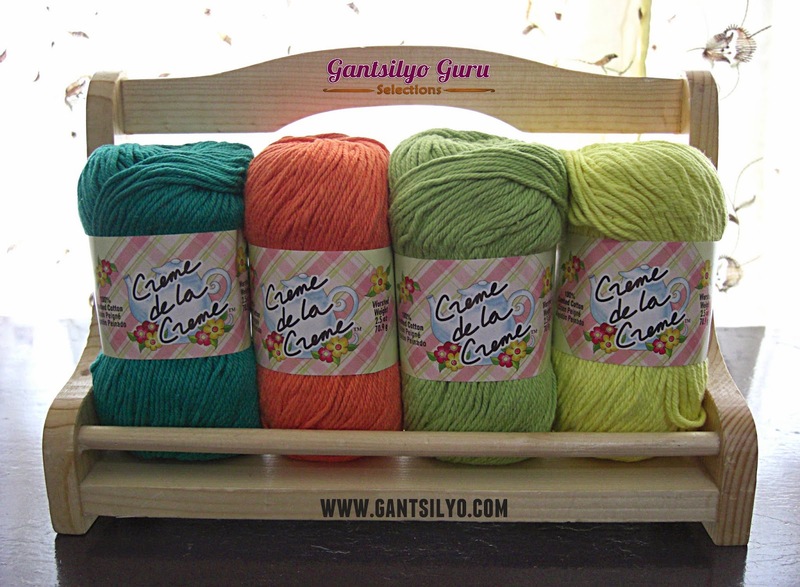 A simple project which can only be made of single or double crochets can look marvelous with the right color combinations. There are many sites out there that specifically cater to color combinations. I get my color inspirations from various interior design and fashion resources. Pantone is a great resource too. Or at least as clean. This is my rule especially when working with flat projects like motifs, spreads, and doilies. If your back is as clean as the front, then you did a great job. Hide your yarn tails properly. 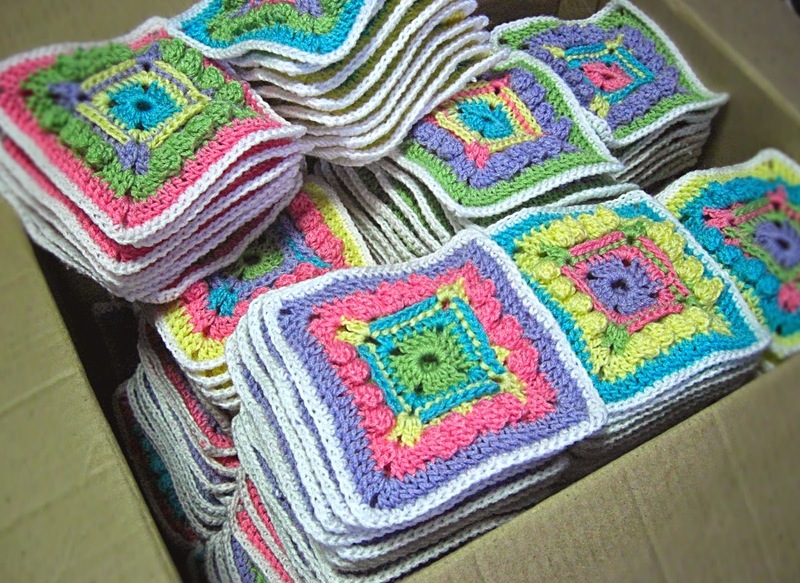 It would be better if you can hide them as you crochet. I have learned how to deal with unraveling. It takes some zen-like attitude to be okay with this process. 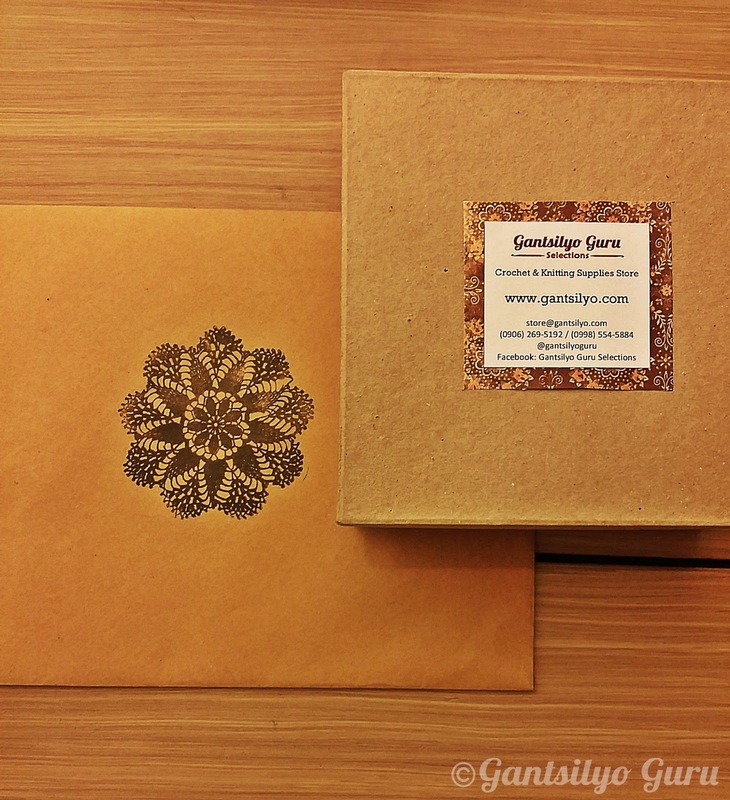 There are different reasons why I unravel: if I made a very obvious mistake that is hard to hide, if I lost count somewhere, or if I don't really like how my project is looking. 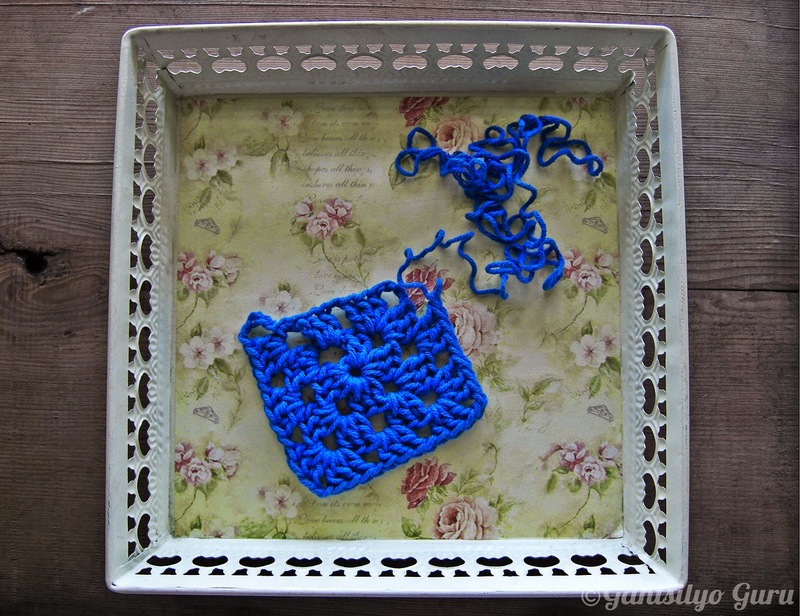 Do you have your own crochet rules too?